Now near every screenshot you have buttons to share it with Facebook and Twitter. 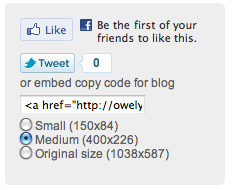 After feedbacks of AddThis irritation, we removed this button, and placed most popular networks sharing. So you can easily share funny screenshots with you friends. Let us know how do you feel about this.